Domain Privacy Protection hides your information from the WHOIS, a global resource for information on domain names and their owners. Nowadays, the WHOIS is unfortunately often used by individuals to collect data and then solicit the owners. Even worse, they can use that information for the purpose of fraud or identity theft. Thus, Web Hosting Canada strongly recommends that all clients consider activating the Privacy Protection service when registering domain names. 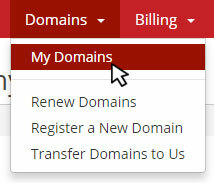 Note: .CA domains registered by individuals automatically include privacy protection, free of charge. Start by searching for your domain name. 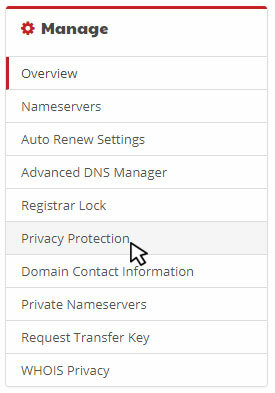 If you do not see the Activate Privacy Protection box, then you already have privacy protection for that particular domain name. Congratulations! Now your domain is protected from anyone scanning the WHOIS for information.